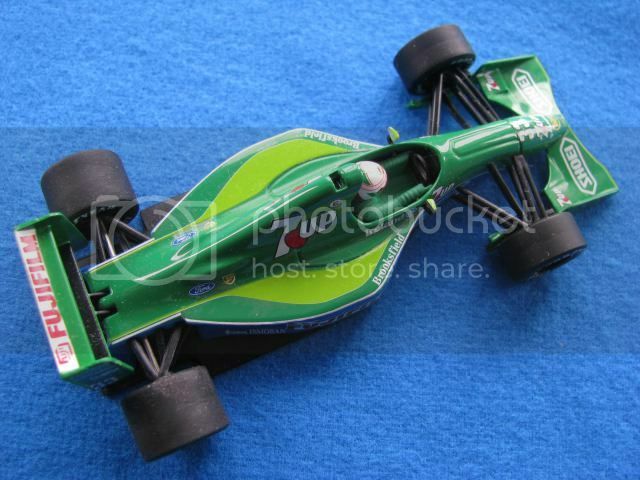 34 days to go !!! 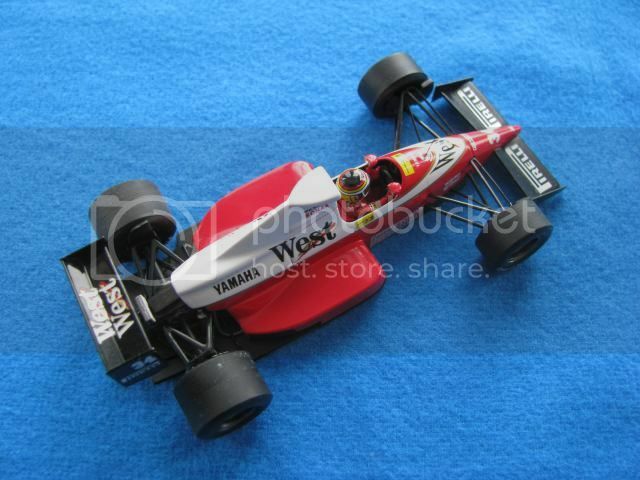 This is the 1/43 1989 Zakspeed Yamaha - driven by Aguri Suzuki. 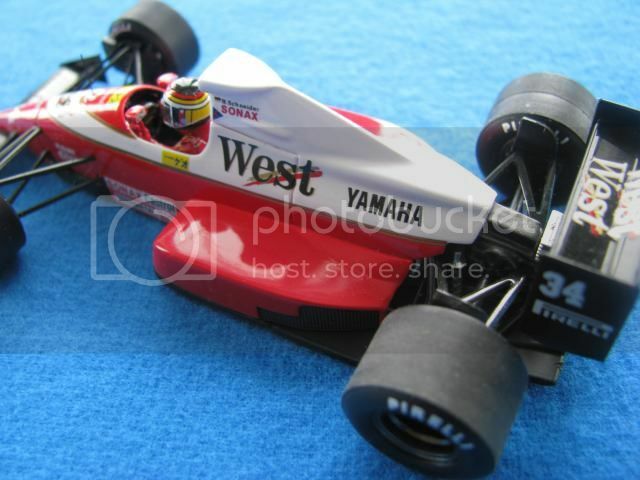 This was Yamaha's first attempt at F1 and so poor was its performance that it ended Zakspeed's tenure in F1. 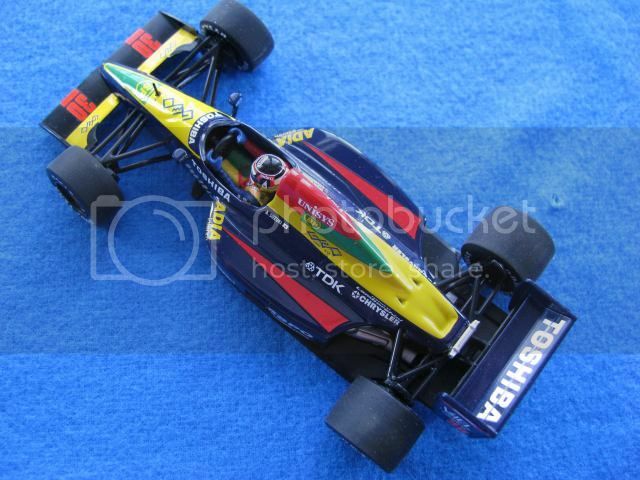 Suzuki-san never managed to get through pre-qualifying and this car never appeared on the F1 grid in 1989. 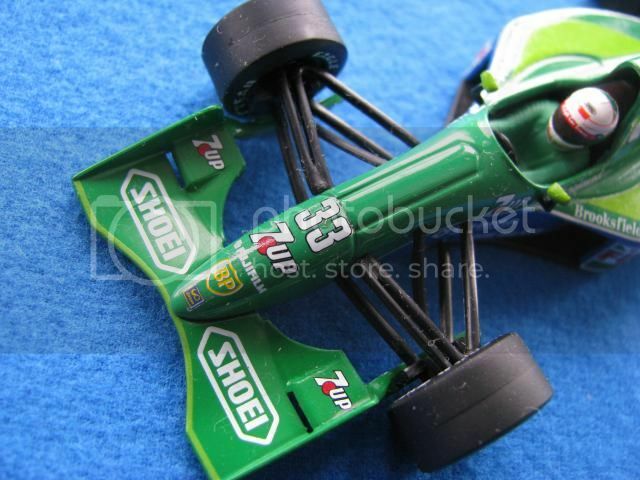 33 days to go !!!! 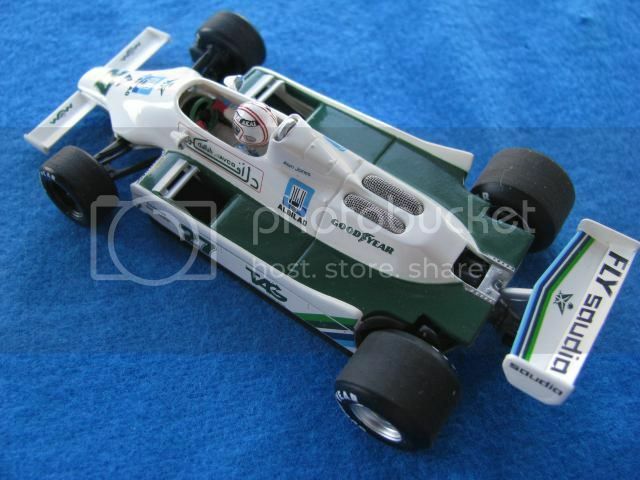 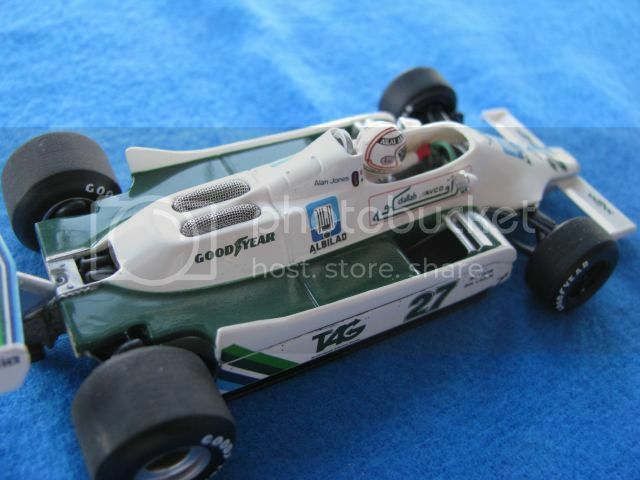 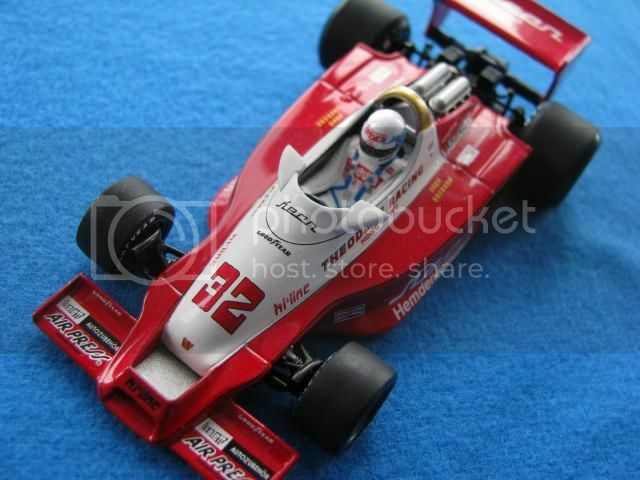 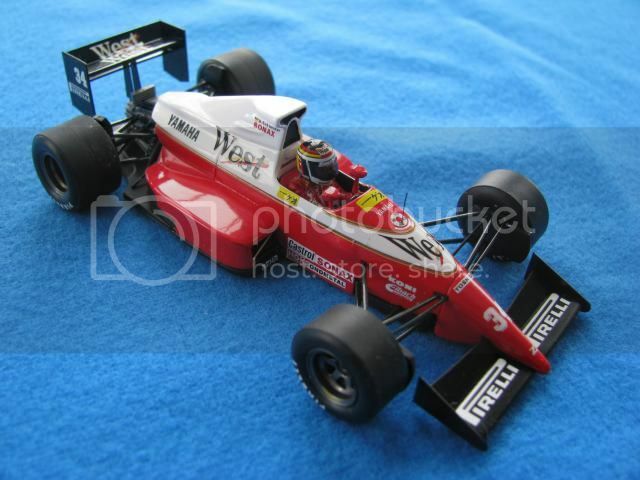 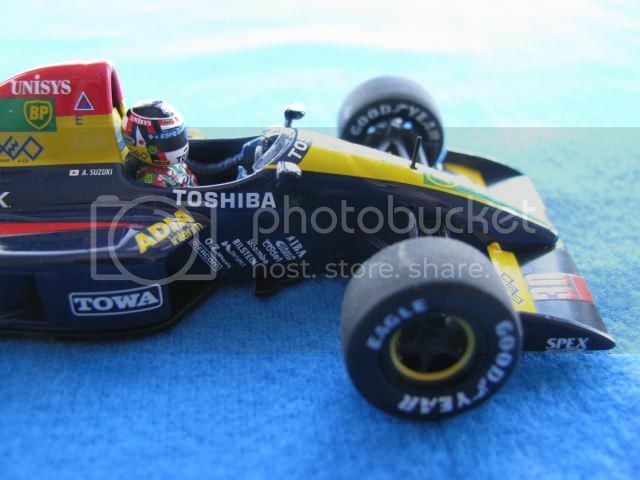 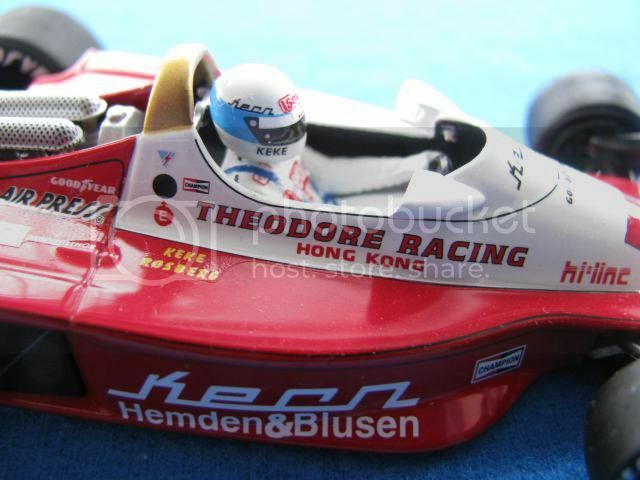 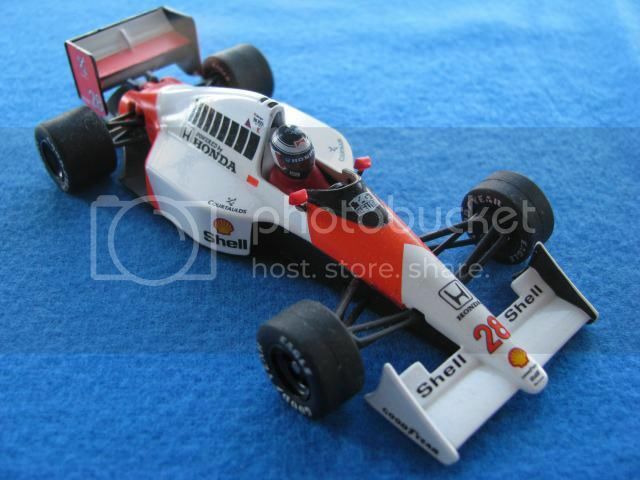 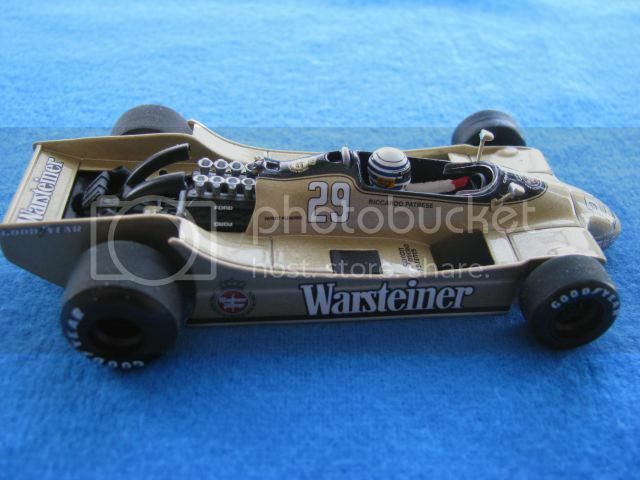 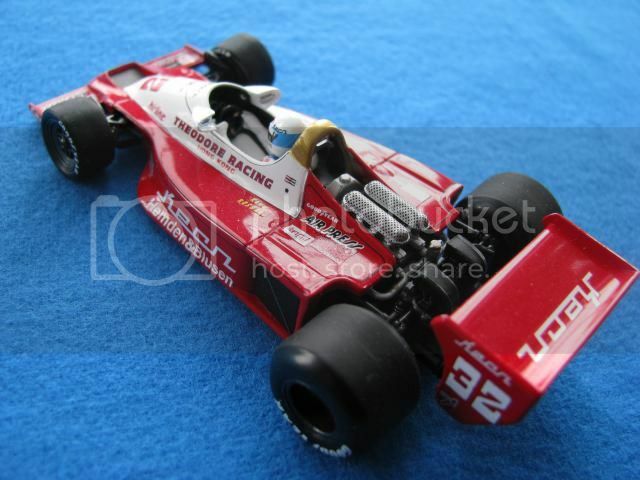 This is the 1/43 Jordon 191 - driven by Andrea de Cesaris. 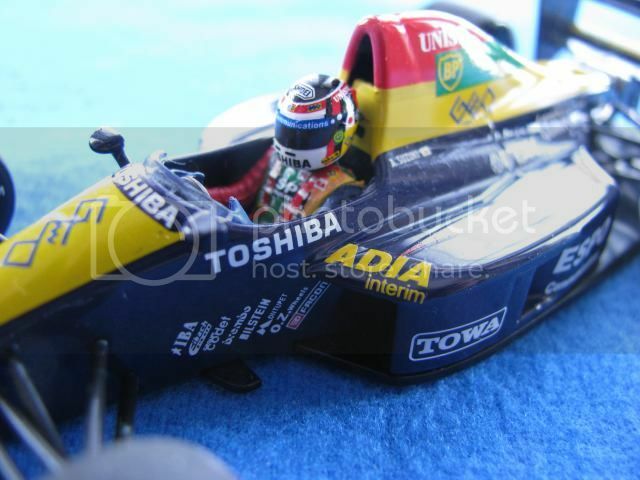 I considered that was Andrea's best season in F1, as he scored numerous top 6 positions during Jordon's first season at F1. 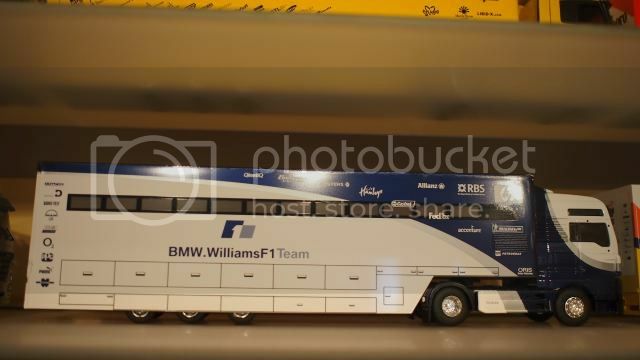 That's a very cool hobby rosberg. 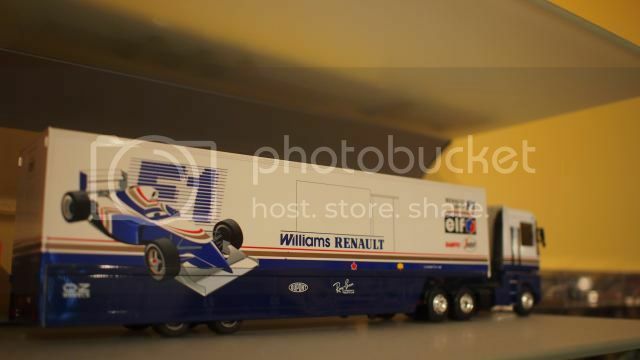 Awesome work, particularly on the drivers! 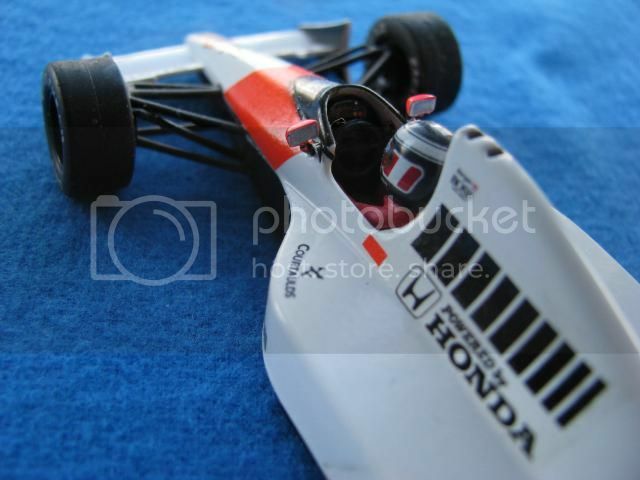 An idea for you, photograph your models from the same angle as a real photo of the car and post side by side. 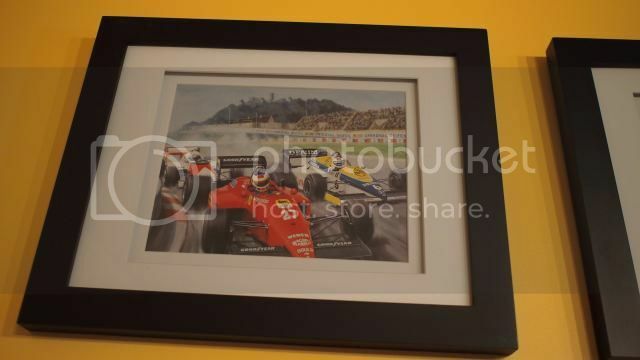 Would look great! 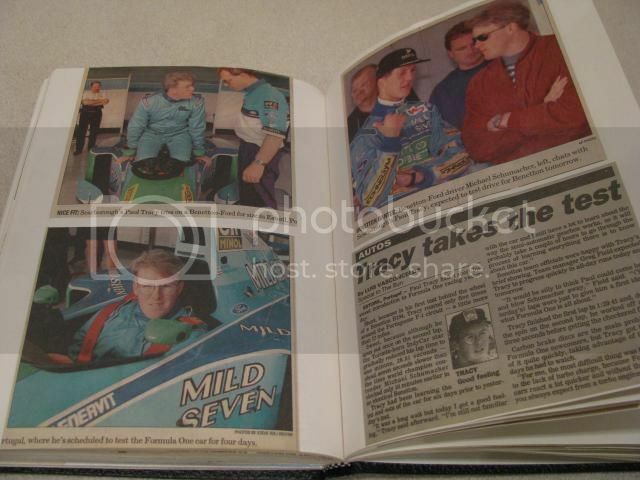 Thanks Duffer, the only thing is these photos were taken a while back, just posting them now. 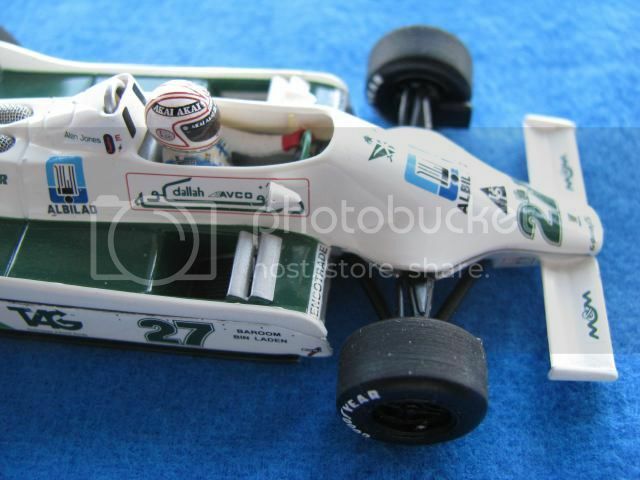 I used to build a lot of models, I have the same zakspeed as you, except mine wasn't equiped with wheels . 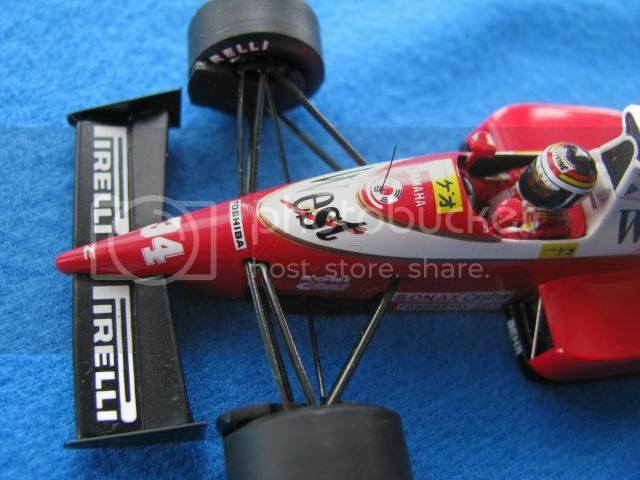 It's not easy to build as realistic as possible car, those stickers are pain in the ar**. 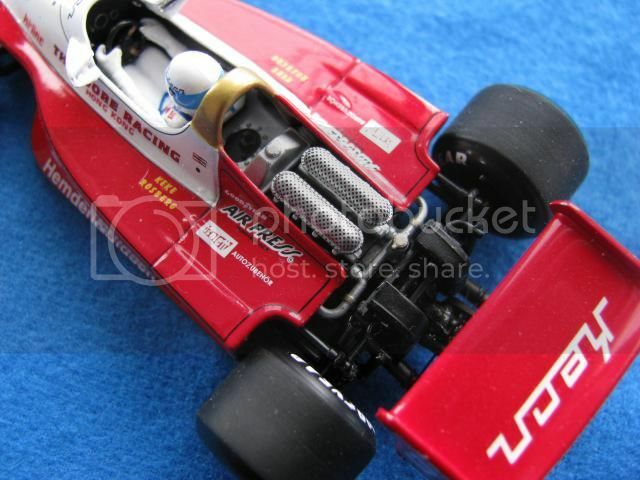 Do you do a lot of repairs of the basic plastic shells? 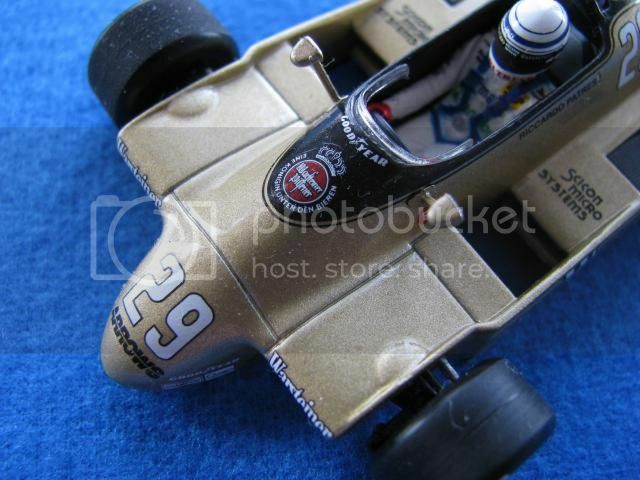 I mean using sand paper, putty and so on? 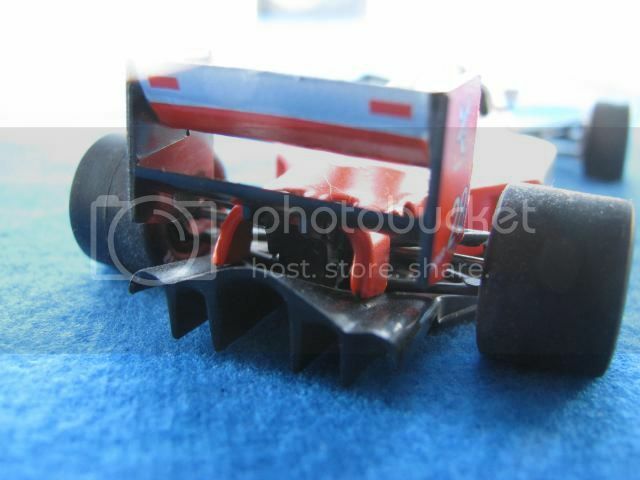 Edited 1 time(s). 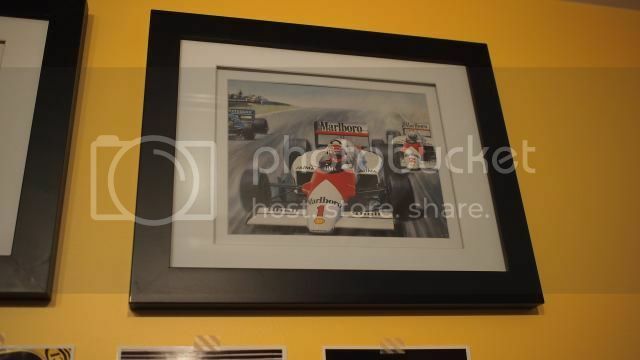 Last edit at 09/02/2015 21:17 by MViper. 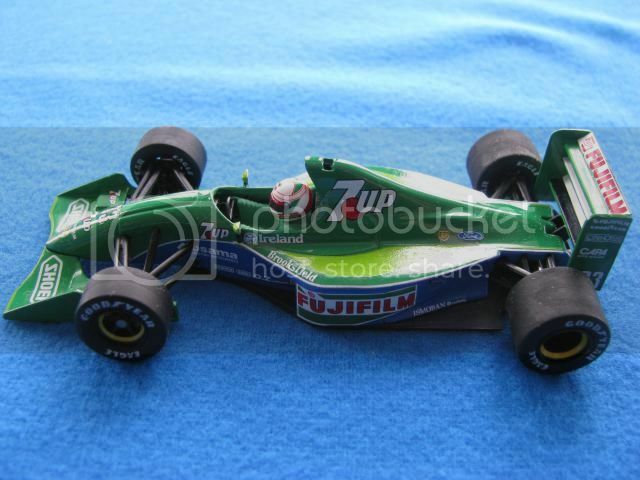 Apart from models (kits and diecasts), I've also collected other memorabilia. 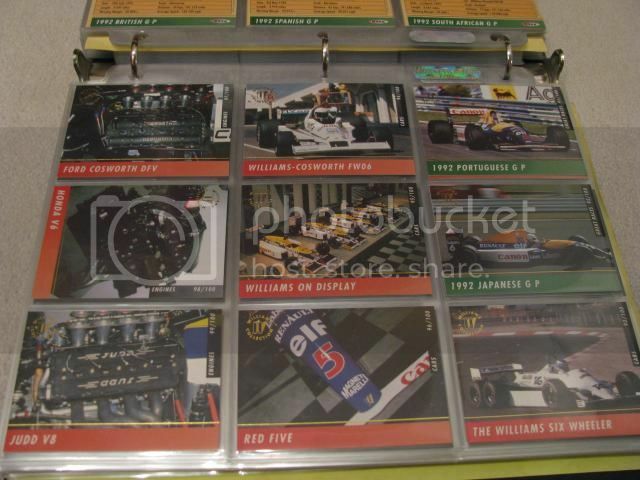 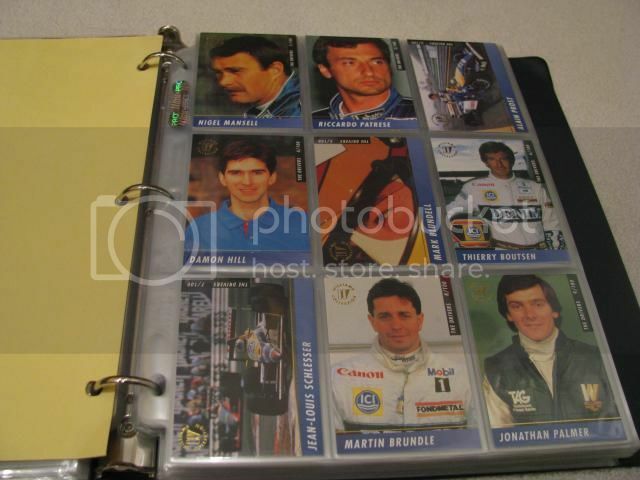 Not sure if any of you have this, this is a set of Williams F1 collector's cards released back in the early 90s. 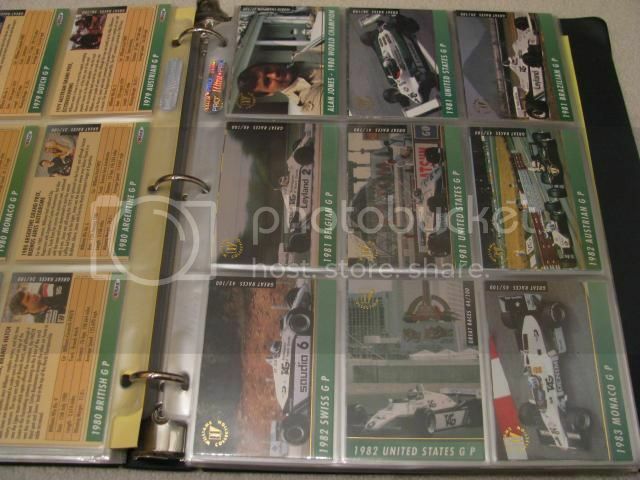 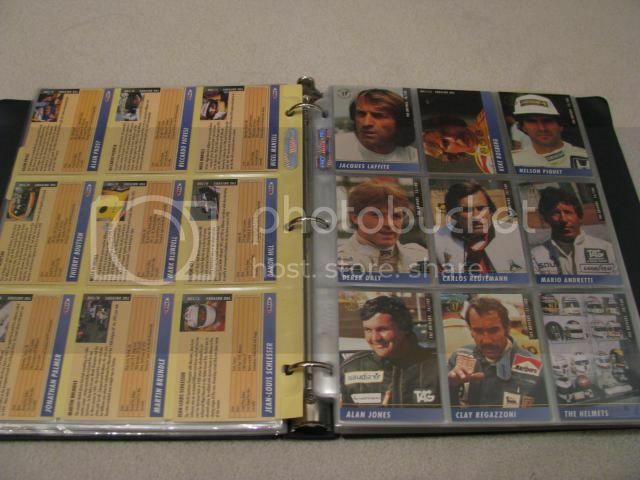 The set has 100 cards, which introduced all previous Williams driver, cars, victories, partners etc. 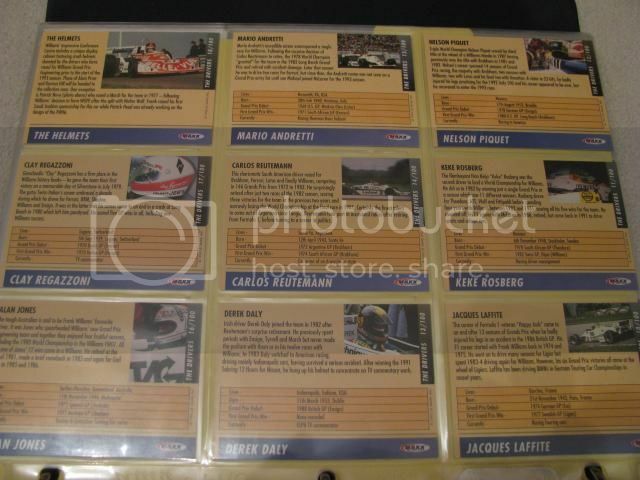 These cards were printed on good qualify cards, with very nice photos and descriptions. 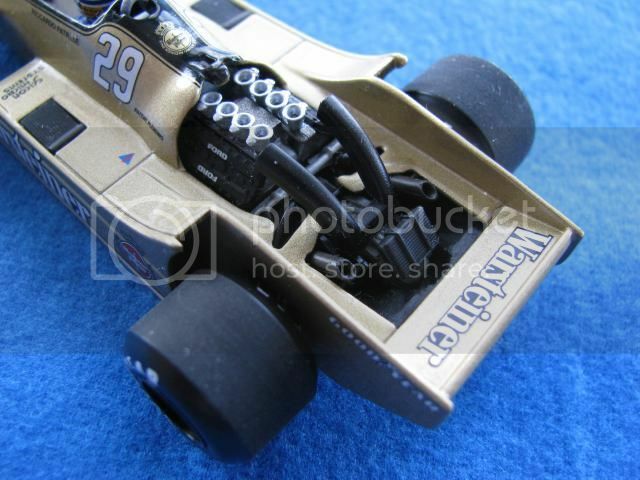 Thanks MViper, I do try to fix up the kits as much as I can. 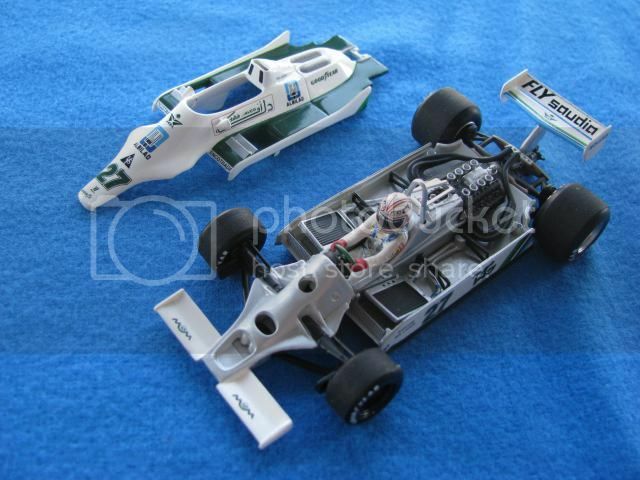 Some of the kits are very challenging like the 1985 Brabham BT54, the body shell doesn't fit well with the under-tray, it will require a lot of modifications, I hope I will be able to handle it. 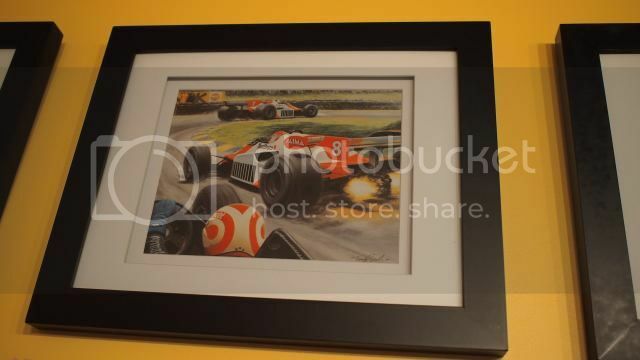 Keep on doing that, you're master of the art. 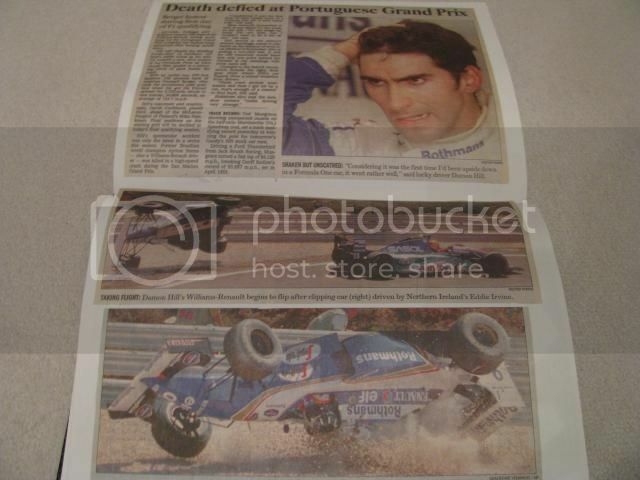 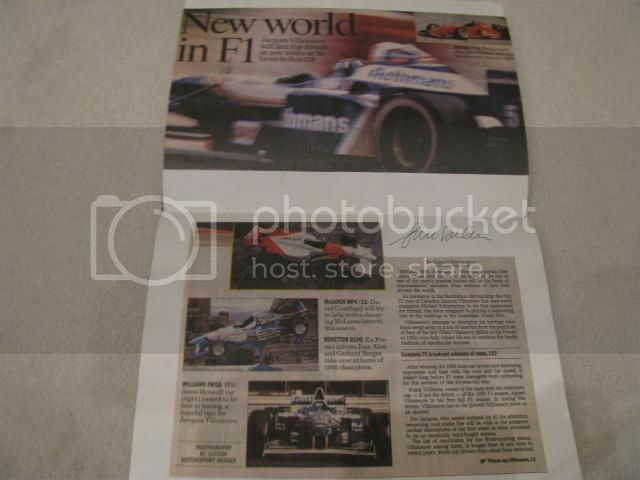 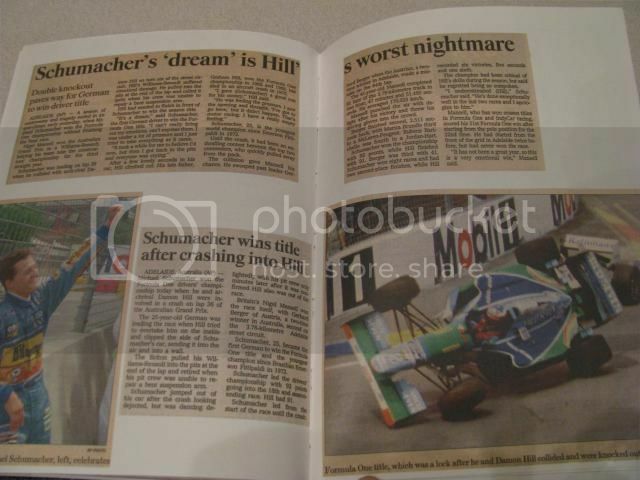 Gerald Donaldson's F1 Article (i also have his autograph) on Toronto Star - does anyone know what's Gerald doing now? 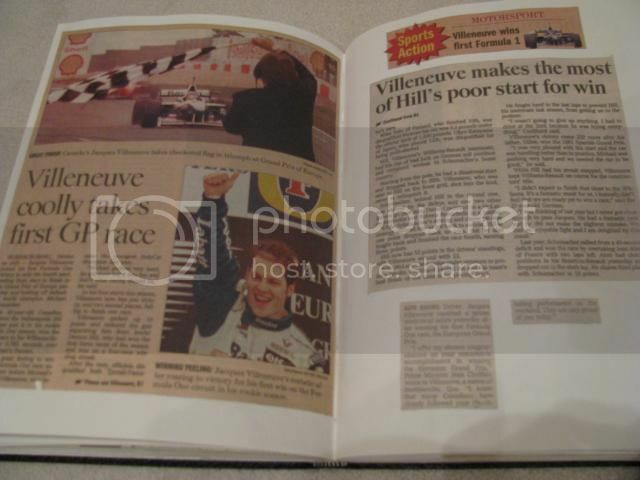 haven't seen any new books from him in the past five years or so. 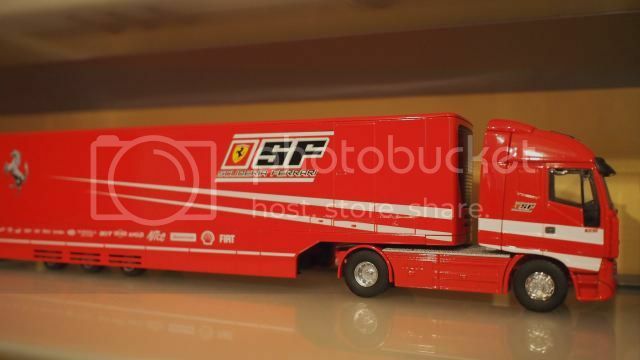 30 days to go !!! 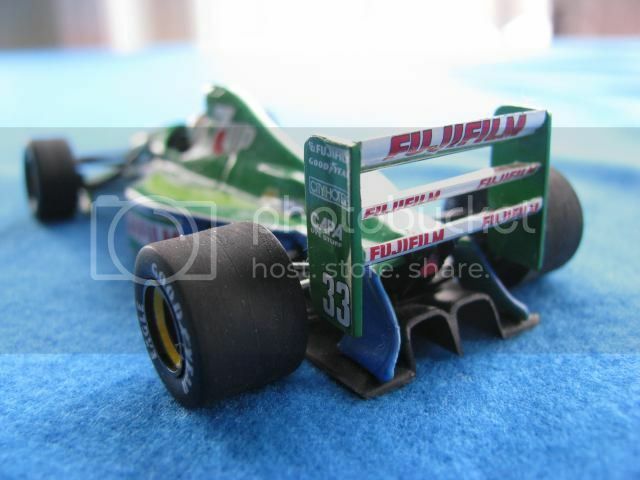 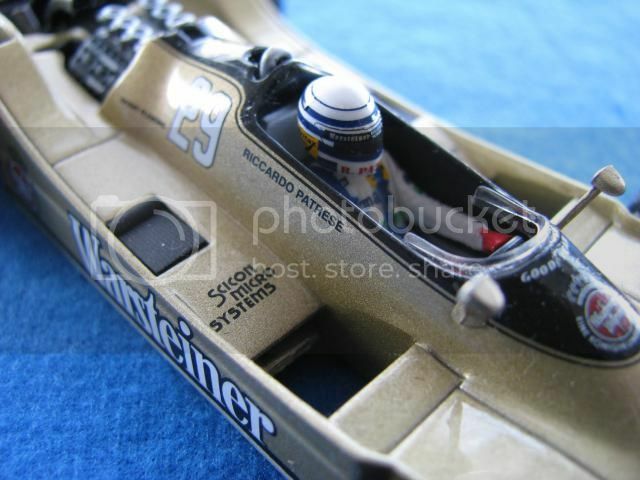 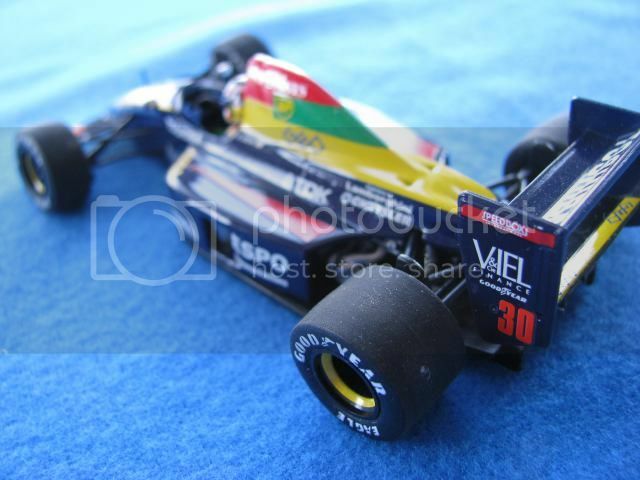 This is the 1/43 Minichamps 1990 Larrousse - #30 Aguri Suzuki - Suzuki-San scored Larrousse team's only podium finish in F1. 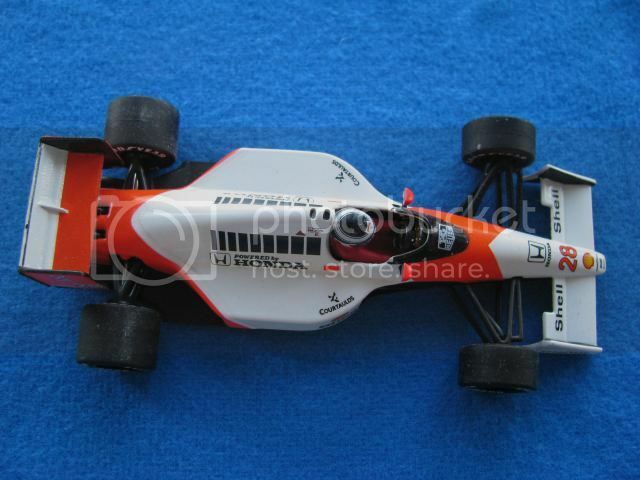 That Arrows has to be one of the prettiest designs I've ever seen! 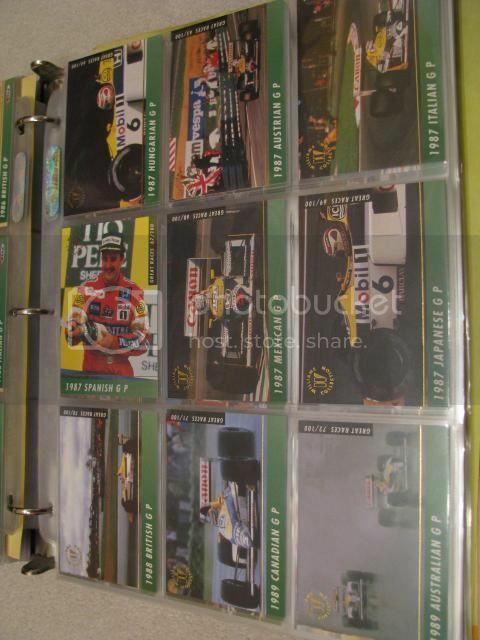 You have some great stuff there Rosberg!